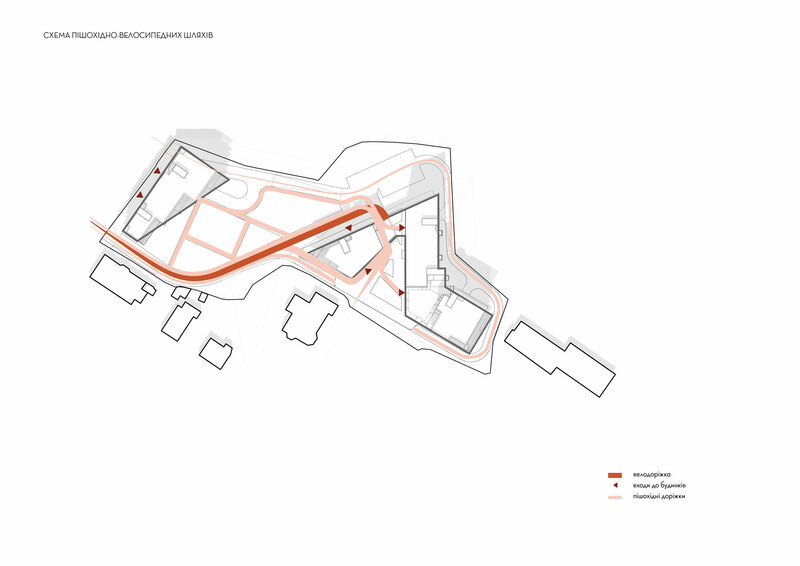 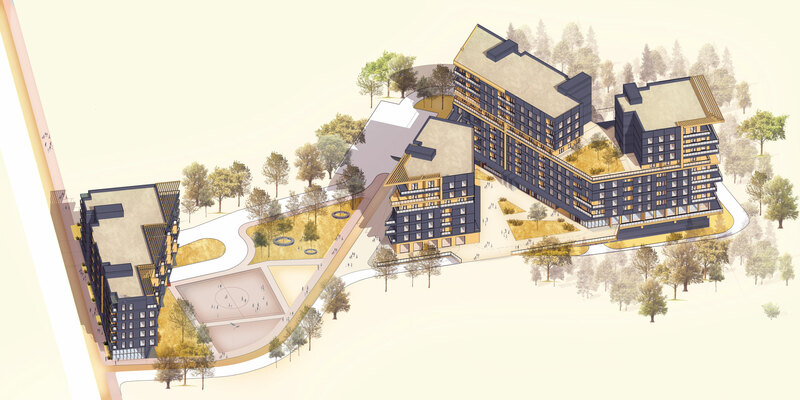 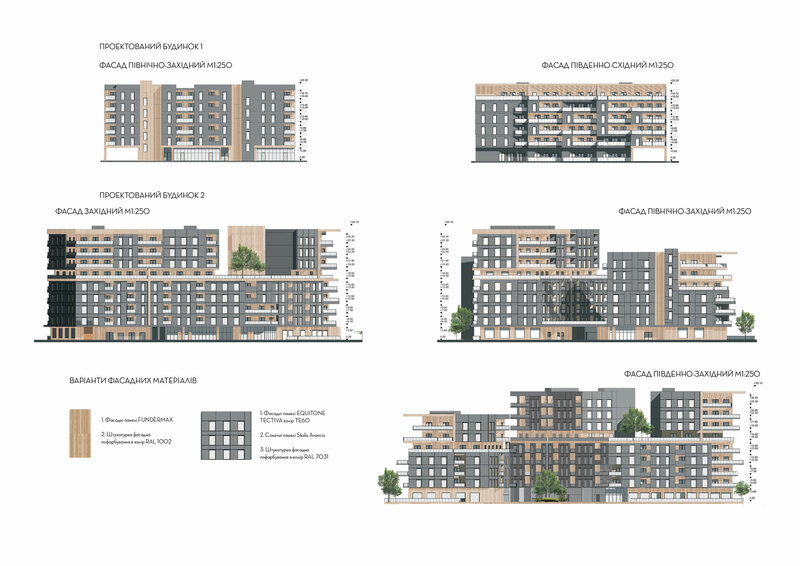 The main factors that form the volumes of the residential complex are the distances from existing buildings, red lines, intentions of providing appropriate insolation to all apartments. Outdoor recreational spaces and projected volumes alternate depending on the qualities and limitations of the place. 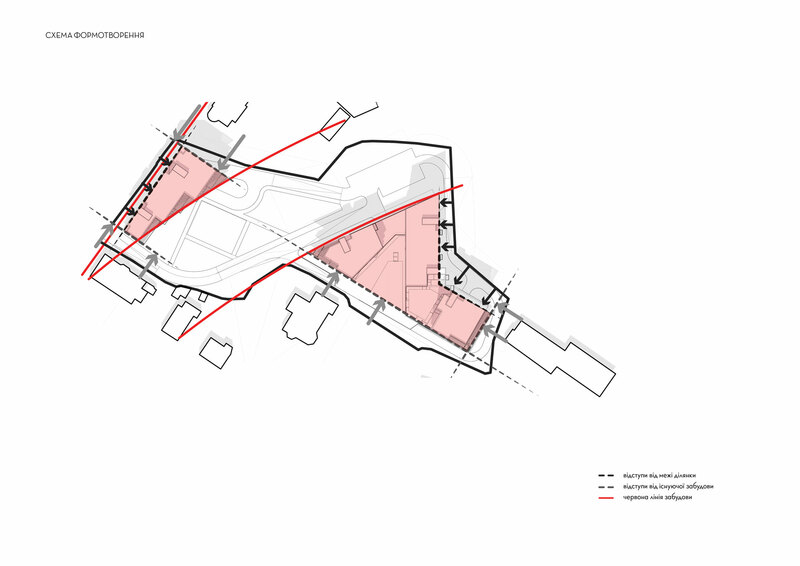 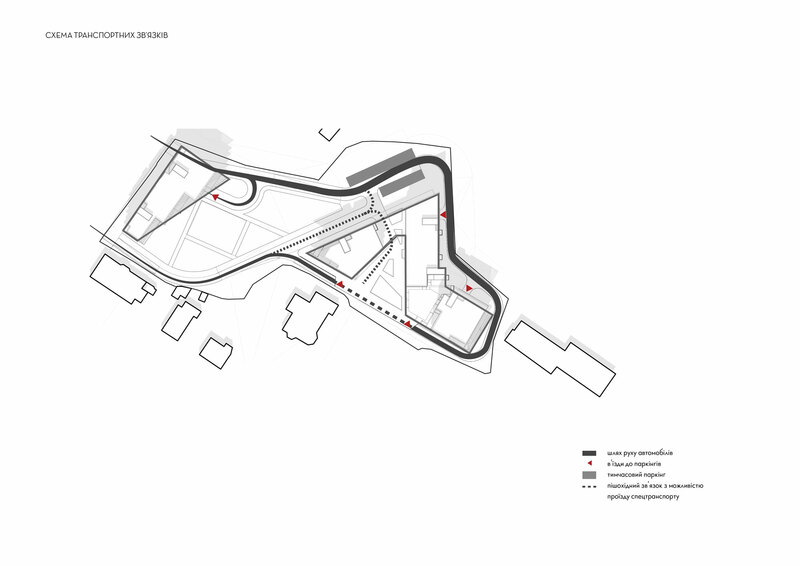 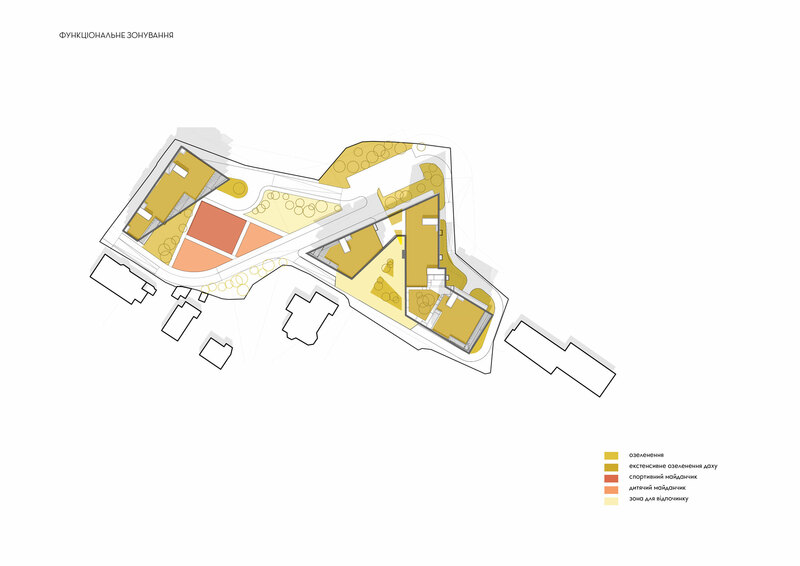 From I. Franka Street to the southern boundary of the plot are created connections between buildings, squares, parking areas corresponding to the terrain and landscape. 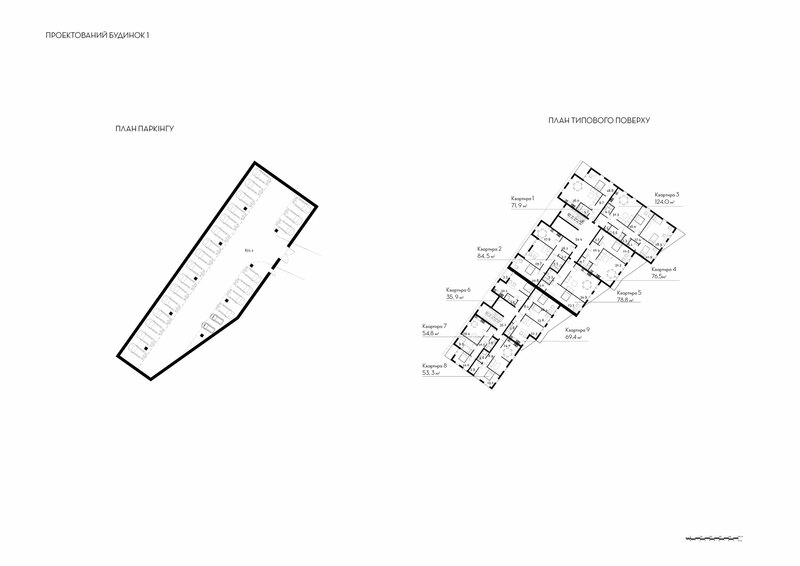 Residental complex is formed by two dwellings: housing block 1 from the I. Franka Street (6-floor apartment for 45 apartments with underground parking for 25 cars) and house 2 in the depths of the plot along the Karmanskoho Street (7-9-storey for 138 apartments with two-level underground parking for 175 cars). 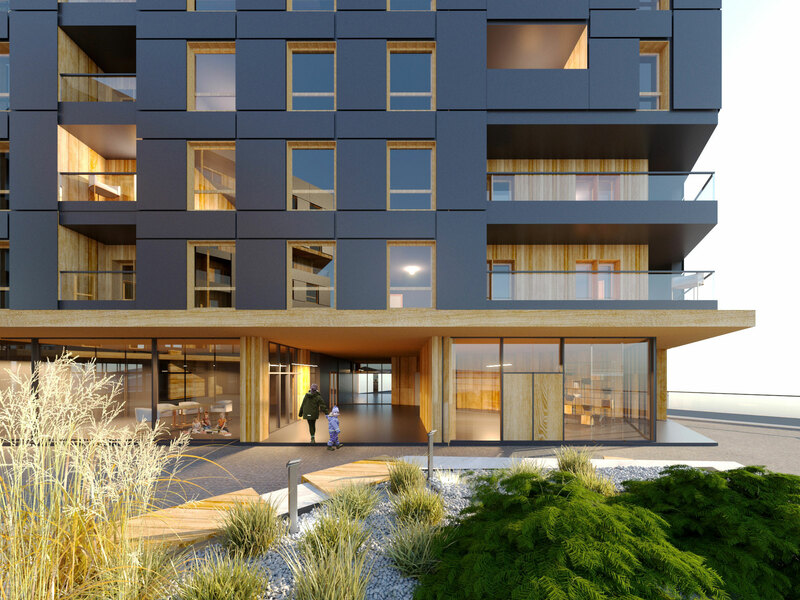 The Solar Façade system Skala Avancis panels is offered as a facade material with a combination of solar parks on the green roofs of buildings. 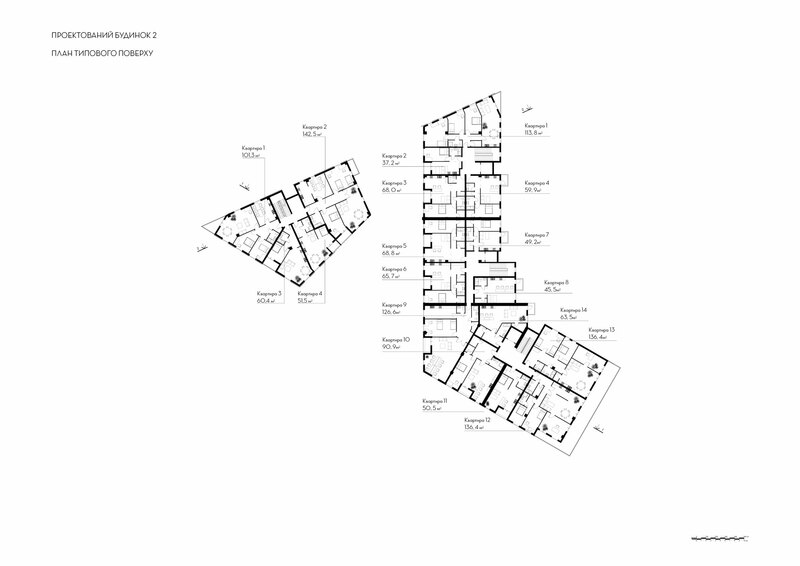 House 1 on Franka Street has a laconic orthogonal facade, while on the southern side large balconies support the relief and generously landscaped plot. 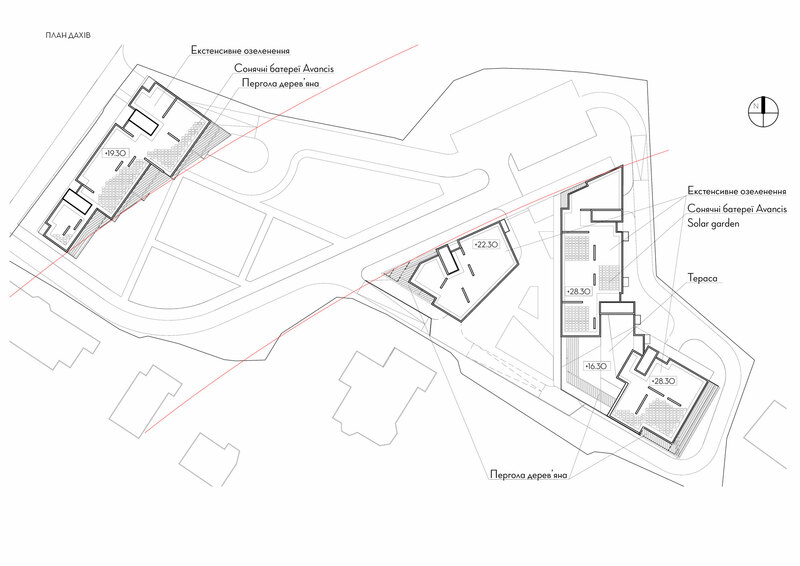 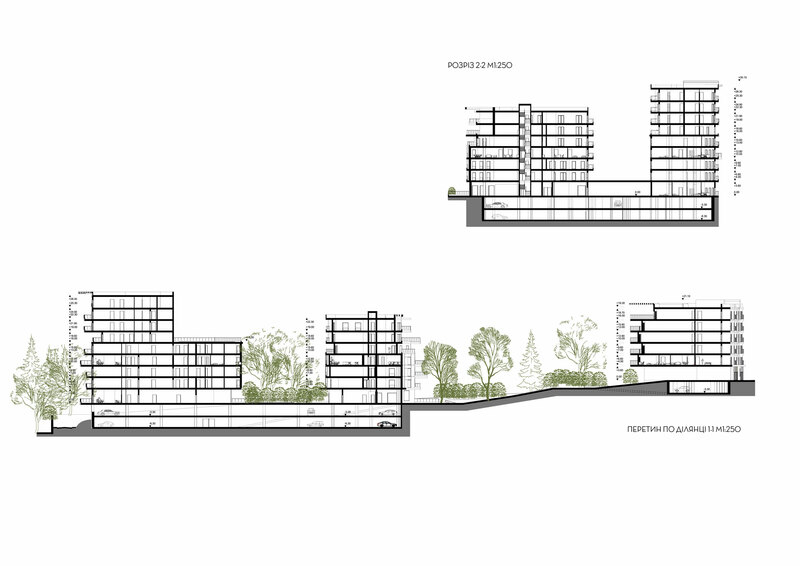 A composition of the multi-story house 2 with the allocation of volumes at different altitudes is proposed for dialogue with the existing low-rise villa buildings of the Karmanskoho Street. 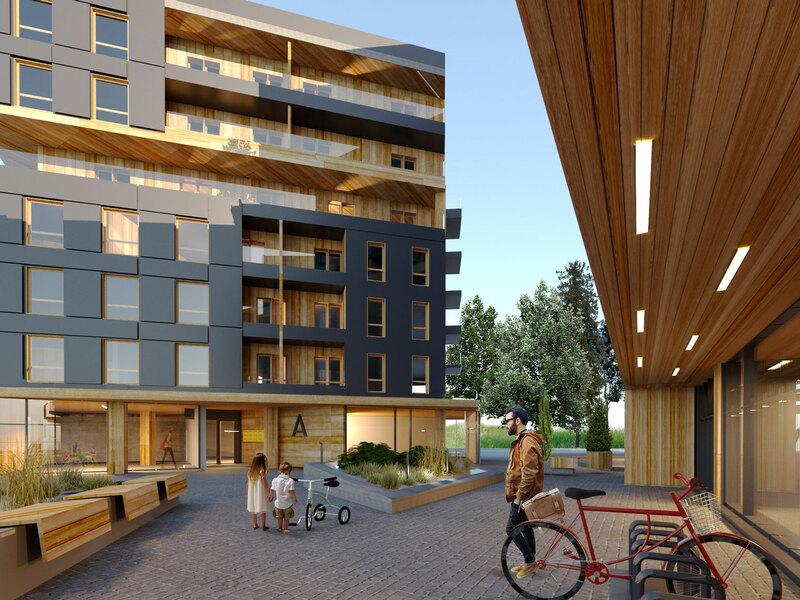 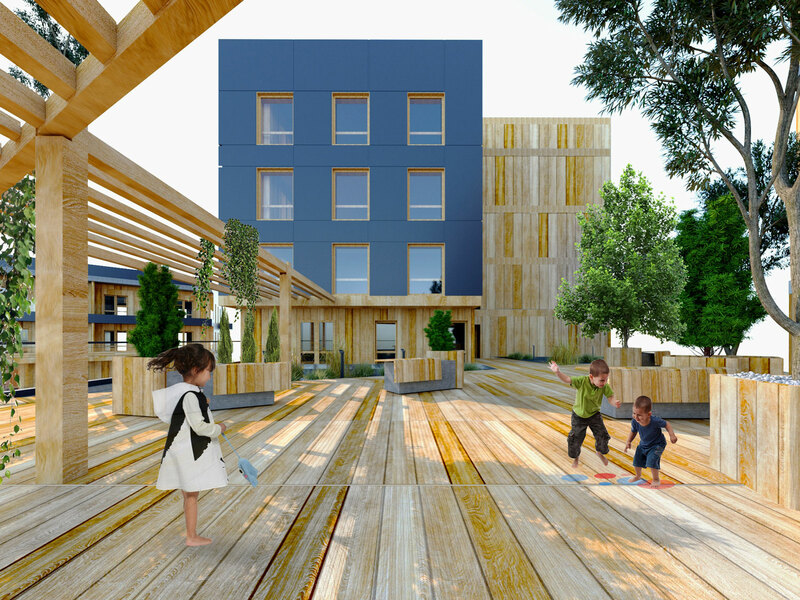 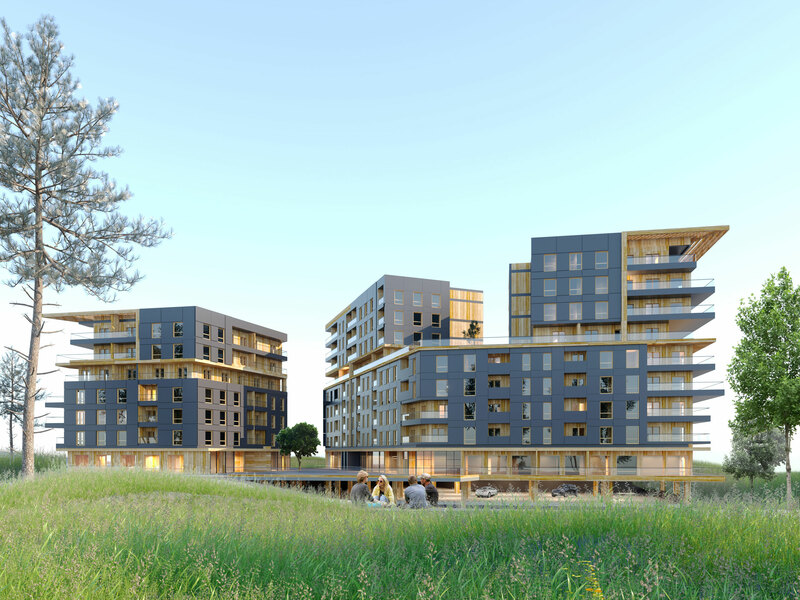 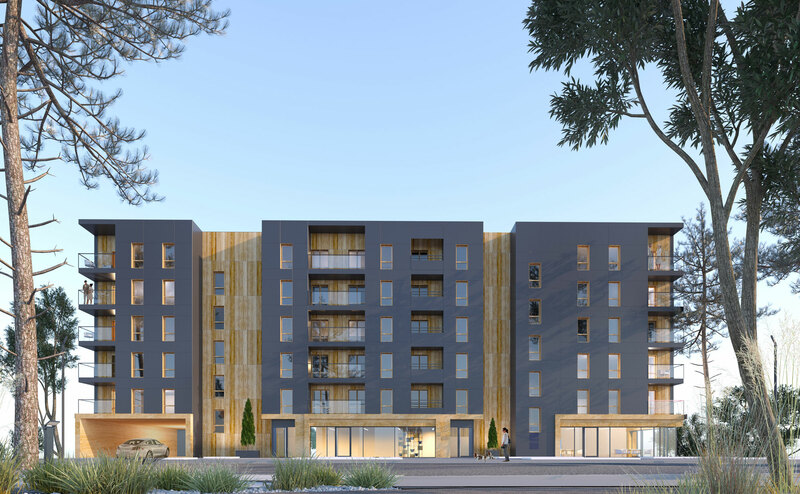 Application of natural colors of light wood and dark gray in the design of facades is based on the location of buildings in the natural environment, interpretation projected volumes as interconnected natural entities. 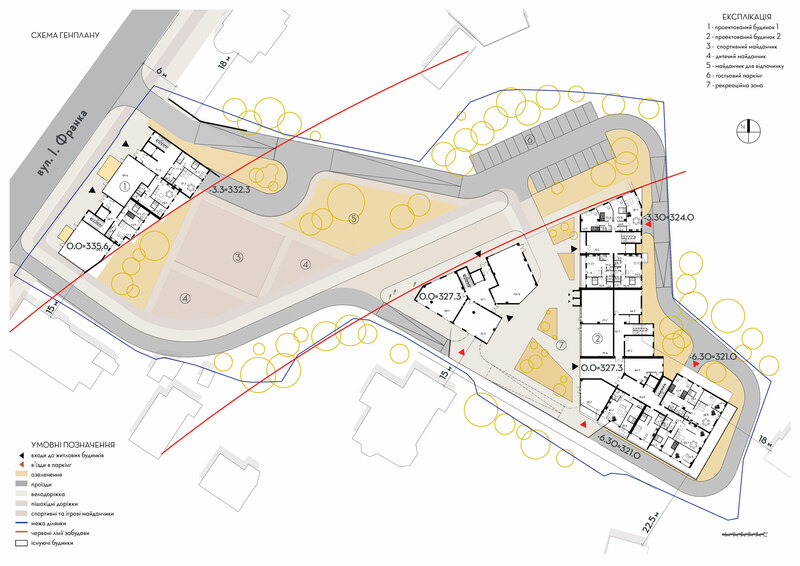 Improvement of the territory provides the installation of recreational areas, playgrounds, areas for physical education classes, landscaping of the territory, the arrangement of pedestrian and cycling tracks, guest parking lot. 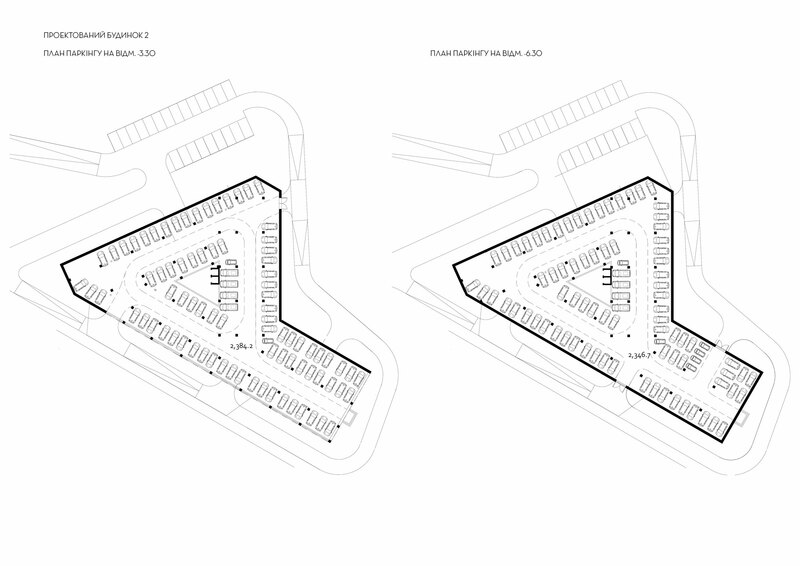 Driveways to parking areas are provided without crossing the pedestrian paths and bicycle roads, without penetration into the pedestrian recreational area.